Salt Lake City Utah USA 1969. 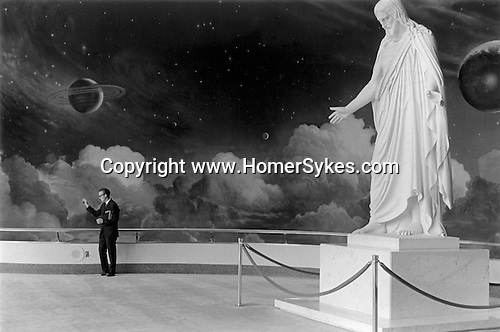 In the Mormon temple a guide waves goodbye to his group. .